A photographic installation and book presentation by Azul Blaseotto and Eduardo Molinari (Buenos Aires). 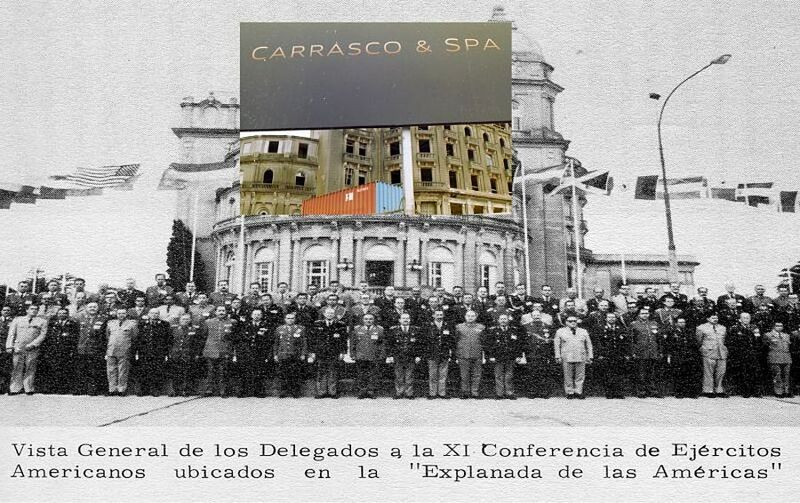 In 1975, Hotel Carrasco in Montevideo, Uruguay, was the venue of the “XI. Conference of the American Armies”. During this event, which took place in a luxurious atmosphere and whose context remained obscure, strategic agreements for the future launch of “Operation Condor" were concluded. This formed the basis of state terrorism that enabled the construction of the neoliberal net which haunts us until today.